We have been working on our fall cupcake gifts to get ready for a new season of gourmet dessert delivery. We recently had a photo shoot with some of our gourmet cupcakes that we deliver in Toronto. These delivered desserts really make a great gift! We thought we would share with you today the process we go through daily to make the best cupcakes in Toronto. We start with the basics. Each cupcake is baked fresh daily to guarantee the gift recipient will love their delivered dessert. As the summer it reaching past its midway point, we have been busily delivering the best cupcakes in Toronto. 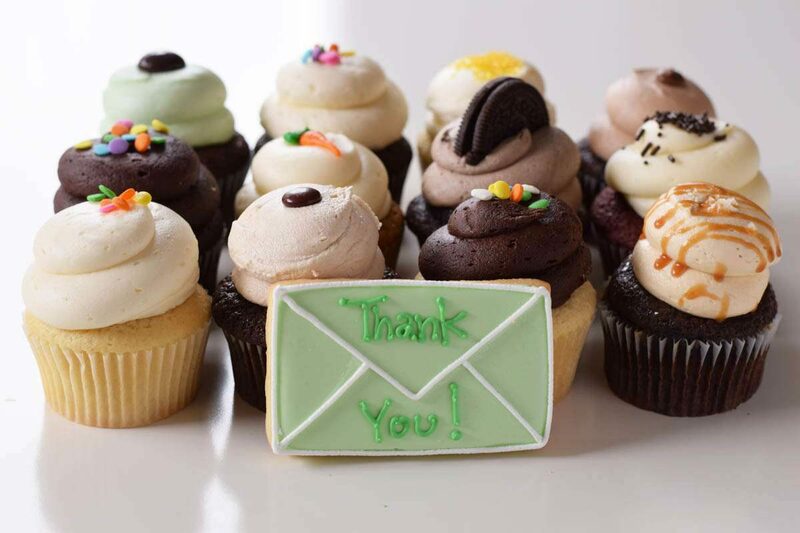 We wanted to say, “thank you” to all our customers for sending the gift of cupcakes to their friends and colleagues this year. To celebrate this moment we are showcasing some of the new sugar cookies we are including with our birthday, congrats and love cupcake gifts. Each cupcake is hand-made daily for the utmost deliciousness and locally delivered to locations across greater Toronto. Cupcakedelivery.ca is a gift dessert delivery company in Toronto, Ontario. We bake gourmet cupcakes for Toronto Delivery fresh from scratch every morning. 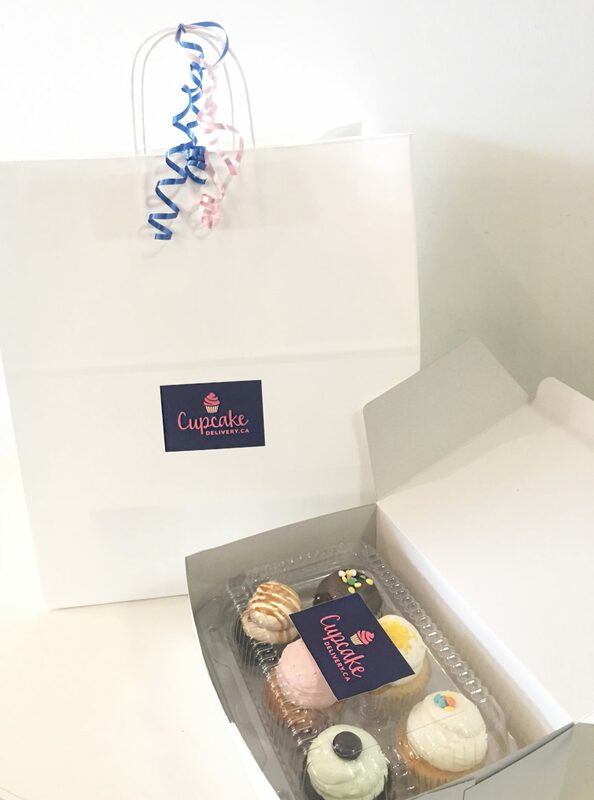 We absolutely love to locally deliver surprise cupcake gifts to homes and offices across the GTA. Our cupcakes are the best in Toronto and make a perfect gift! We only use the best quality ingredients in our cupcakes. Our cupcakes are made with real butter in the buttercream icing, freshly squeezed lemons, handmade caramel and premium chocolate. 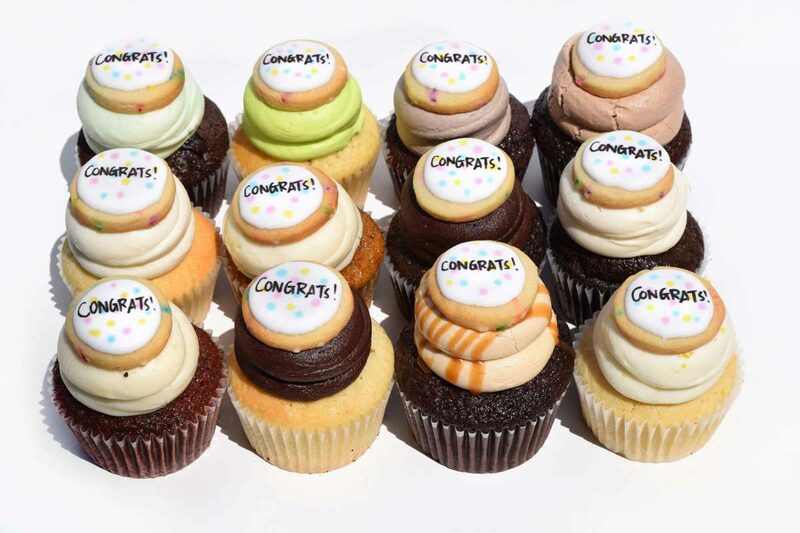 Send a gift of gourmet Cupcakes for Delivery in Toronto today.